We at SR Timber have decades of experience in producing & supplying timber construction products from roofing battens to high-end cedar shingles and carcassing material. This background in the industry means we have an expert understanding of the roofing business and know what our customers need – a guaranteed supply of high quality timber materials. 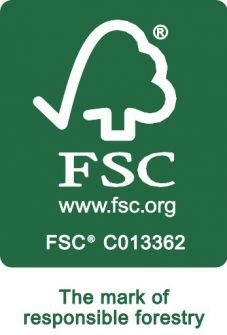 Being very conscious of environmental issues all of our products are produced from quality slow grown sustainable timber which are supplied either FSC® or PEFC full certified. With the largest roofing batten production mill in Europe and contacts with other leading producers from across Scandinavia, Latvia & the Baltic States means we can deliver regular shipments to our holding terminals in Hull and Southend resulting in the availability of fresh stock and consistency of quality. Using our own production facilities and raw materials means we can guarantee you continuity of supply. So, you get the batten you want, when you want it. Our sawmill plants are audited by BM TRADA, a UKAS company with the Q-Mark third party accreditation scheme for roofing battens. This, in turn, means our fully graded Gold roof battens is now fully certified to Q-Mark standards and recognized by controlling bodies, local authorities and home warranty providers such as the NHBC. Controlling the process means we always deliver, ensuring quality control and adaptability. We are so confident of the performance and high quality of our roofing batten we offer a 60 year warranty across our full range of roofing battens. Can I order more than one size? Yes, you can order which ever dimensions you require from our stock profile. Can you offer technical backup? Yes, our management and technical staff have over 20 years’ experience, from production through to nailing the battens to the roof as tradesmen. Are you members of any trade organisational bodies? Yes, SRT are members of NFRC, TTF and Trada. Does SRT Battens come with a guarantee? All SRT Battens come with a 60 year lifetime warranty against insect attack and wood rotting fungi (when used correctly and installed above dpc level in buildings). Is all SRT Batten from Sustainable sources? Yes – all SRT Battens are from sustainable managed forests, either managed by FSC® or PEFC certification. What is the minimum quantity you will deliver? Predominantly we deliver in full articulated lorry loads, approx. 35,000 meters, at a premium we can deliver in half load quantities. What is your delivery time and can we stipulate AM or PM time slot? From receipt of order we normally deliver within 72 hours, and yes, an AM or PM time slot can be stipulated. Yes, we deliver throughout the United Kingdom. Are you competitive against other suppliers? Yes, on a like for like product basis we class ourselves as being extremely competitive. At SR Timber, we are committed to providing the highest standards of customer service, supporting both you and the industry through dedicated focus, reliability and expertise. It is these three principles which have formed the basis of the standards we commit to delivering in our Service Charter, which clearly states what you can expect from us as a business and our staff, in all of your dealings with SR Timber. As a business we strive to deliver the exceptional levels of service you require to complete your roofing project in the quickest possible time and to the highest possible standard. Our Service Charter outlines our commitment to excellent customer service and will allow you to identify how this commitment will be delivered, no matter how you come into contact with us. Please view our Service Charter here.